Call Our Boston Personal Injury Lawyer Experts 24/7 at 617-787-3700 About Your Massachusetts Personal Injury Accident Case. In the aftermath of a Massachusetts personal injury accident, Massachusetts insurance companies become a major issue. You will most likely get phone calls and letters from your insurance company, or the Massachusetts adjustor assigned to your case, that ask you to give a statement or sign a release. The Massachusetts insurance companies that are involved in your Massachusetts personal injury case may also try to get you to settle your claim for a small dollar amount, which may seem like the best way to end what is likely a stressful situation quickly. To do any of these things, however, would be a big mistake and can lose you a lot of money. You must remember that Massachusetts insurance companies are not motivated to serve your interests, but rather to make a profit for themselves. Massachusetts insurance companies do not want to pay full value for your injuries, and may come up with many excuses as to why you cannot receive compensation. The insurance company will likely hunt for evidence that you have a pre-existing condition that explains your injuries and should reduce your compensation. In the case of soft-tissue injuries, such as injuries commonly sustained to the neck, shoulders and back in Massachusetts motor vehicle accidents, the Massachusetts insurance company may try to discount your damages. All too frequently, Massachusetts insurance companies argue that your soft-tissue injuries are not scientifically verifiable, and are instead only psychological in nature. Massachusetts personal injury accident victims that seek alternative or experimental therapies and medications to treat their injuries may find that insurance companies refuse to pay for such forms of treatment. It is also possible that a Massachusetts insurance company will attempt to pass off the responsibility for compensating you for your injuries to other potentially liable sources. The insurance company may take time to determine liability in a Massachusetts personal injury case, which might lead to you being required to give a statement. All the while, you will have building medical expenses with no money to pay for them. If you have been injured in a Massachusetts accident, it is critical that you seek the representation of one of the experienced and highly skilled Massachusetts personal injury attorneys at the Boston, MA Law Offices of Gilbert R. Hoy, Jr. and Affiliates. Our expert Boston, MA personal injury lawyers will handle all correspondence with your Massachusetts insurance company to ensure that you receive fair and full compensation for your injuries. Our Massachusetts injury lawyers and Massachusetts wrongful death lawyers have the experience and expertise necessary to successfully negotiate with Massachusetts insurance companies to obtain the maximum compensation possible for you. 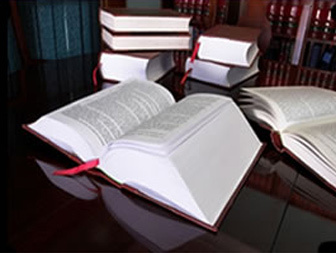 In addition to a superb reputation, the threat of a lawsuit by one of our expert Boston personal injury attorneys or Boston wrongful death attorneys makes insurance companies take you seriously and be willing to negotiate a higher settlement. Massachusetts personal injury victims that fail to hire a reputable Boston personal injury attorney usually receive only a fraction of the true value of their claim. 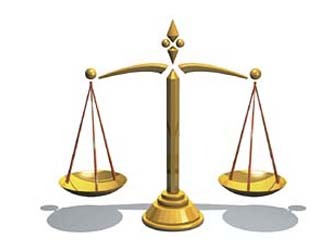 These individuals may hurt the value or merits of their case by giving a statement. They may also sign away their rights in a release or negotiate a settlement that does not adequately compensate them for all of their injuries. 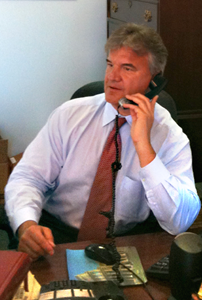 If you are injured, do not talk to any insurance company, including your own or those of the other parties involved in the Massachusetts accident, until you have first spoken with one of the expert and aggressive Massachusetts personal injury lawyers at the Boston, Massachusetts Law Offices of Gilbert R. Hoy Jr. and Affiliates. Call our highly skilled Massachusetts personal injury attorneys today at 617-787-3700 or email us at info@gilhoylaw.com for a free and confidential case review. Our Boston, Mass personal injury lawyers will thoroughly investigate your claim, gather all relevant medical bills and witness statements, and let the insurance companies know that we mean business. Our Boston personal injury lawyers will aggressively pursue your Massachusetts claim to make sure that you receive full and fair compensation for your injuries, and will keep you updated on every step of your case. Our expert Boston, Massachusetts personal injury attorneys will make sure that your rights are always protected and that your interests are well served. When You or a Loved One Has Been Injured or Killed in a Massachusetts Personal Injury Accident, Call Our Massachusetts Personal Injury Accident Attorney Specialists Right Away at 617-787-3700. 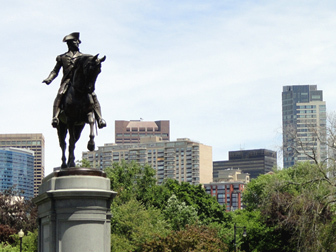 Our Boston Lawyers Are Superb at Dealing With Massachusetts Insurance Company Tactics. In the event that you receive a telephone call from an insurance company representative or an insurance company adjuster about your Massachusetts personal injury case, you should not speak with him or her. This is because it is very easy to unintentionally cause damage to your personal injury case by doing so. 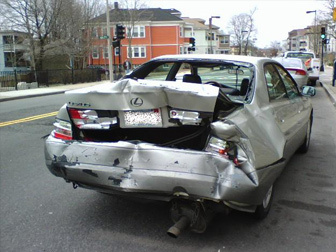 It is highly important, instead, that you only speak with our Boston personal injury attorneys. Our Boston, MA personal injury accident law office will promptly contact the insurance company on your behalf in order to properly represent you, and our Boston injury lawyers will also take care of all of your professional needs. Our Massachusetts accident injury law office will be sure to deal with all correspondence involving your accident in a timely and professional manner and will always defend and pursue your best interests. If it is more convenient for you, Attorney Gil Hoy or one of our expert Boston, Mass personal injury attorneys will come to your home or the hospital to meet with you to discuss your options regarding your Massachusetts personal injury claim. 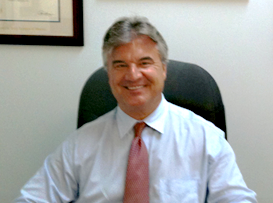 Call our expert Boston, Massachusetts personal injury lawyer specialists, 24 hours a day, 7 days a week. Even if you get our answering service, leave a message because one of our Massachusetts personal injury attorneys from our Boston, MA personal injury accident law office will call you right back. Our Boston, Massachusetts personal injury law firm charges you no attorney’s fees unless and until we successfully and fully recover just compensation for your personal injury. Call Our Boston, MA Accident Lawyers 24/7 at 617-787-3700 About Your Massachusetts Personal Injury Accident. We Will Maximize Your Monetary Recovery and Help You Deal With Massachusetts Insurance Company Tactics. Call Today. Your Needs Are Our Top Priority! "Whatever your Massachusetts legal needs are regarding your Massachusetts personal injury claim, our Boston, Massachusetts law office has the experience and skill to help you. Our expert team of seasoned, tenacious Massachusetts personal injury lawyers take great pride in the level of client service that we provide to all of our Massachusetts clients. We would be honored and pleased to represent you or your loved one with respect to your Massachusetts personal injury claim."